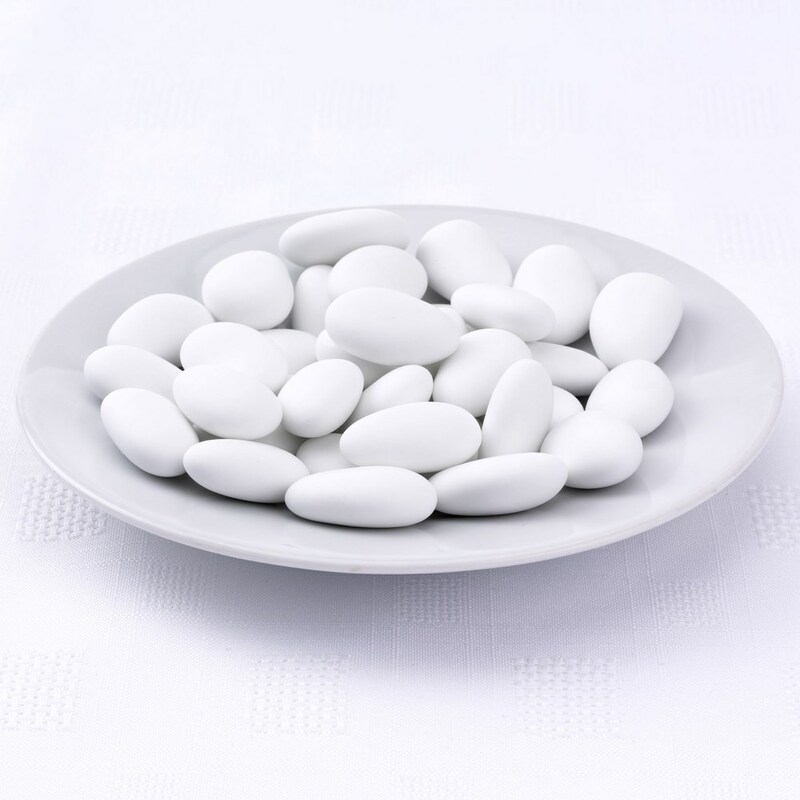 High quality Italian sugared half almonds are a traditional filling for wedding favours, from traditional bomboniere style to contemporary box designs, sugared almonds remain one of the most popular fillings. Sold in boxes of 1 kg, containing approximately 250 white sugared almonds. All our confectionery is of the finest quality and always has a long 'use by' date. Please note that this product is not suitable for anyone with a nut allergy and is gluten free. Please check product specifications for the ingredients and further allergen information.